Deep sea mining is an emerging industry in the Pacific region and has the potential to become a major new revenue stream for Pacific Island countries. Effective management of this revenue will be critical to ensure that long term benefits are realised. Through the European Union Deep Sea Minerals Project, the Secretariat of the Pacific Community (SPC) is partnering with the International Monetary Fund and the Pacific Financial Technical Assistance Centre to hold a workshop in Nadi this week (24-27 August) that focuses on the management of revenue emanating from deep sea minerals development. Representatives from 14 Pacific Island countries, civil society groups, the private sector, finance officials and experts have been invited to participate. The workshop aims to develop and discuss appropriate fiscal regimes, revenue management and public financial management options that can be considered and implemented for deep sea minerals mining. “This is part of EU ongoing efforts to assist Pacific countries to prepare to effectively manage deep sea mineral resources that occur within their waters and their interests in the international seabed area,” SPC Deep Sea Minerals Project Manager, Akuila Tawake, said. “Participants will learn how to develop appropriate revenue management schemes to ensure that countries receive their fair share of the proceeds from such mining,” Mr Tawake added. Pacific countries are rightly concerned that Deep Sea Mining projects must be socially acceptable, ensure that the environment is protected and guarantee that they contribute to the genuine development and prosperity of the countries and their people said Johnny Engell-Hansen, Deputy Head of Delegation of the European Union for the Pacific. On the basis of case study exercises, the participants are also expected to discuss, consider and endorse the Pacific Islands Regional Deep Sea Minerals Financial Framework, developed by SPC and the Pacific Financial Technical Assistance Centre. Pacific ACP (Africa Caribbean Pacific) States represented include Cook Islands, Federated States of Micronesia, Fiji, Kiribati, Marshall Islands, Niue, Palau, Papua New Guinea, Samoa, Solomon Islands, Timor-Leste, Tonga, Tuvalu and Vanuatu. This is the seventh regional training workshop in the Deep Sea Minerals project series. 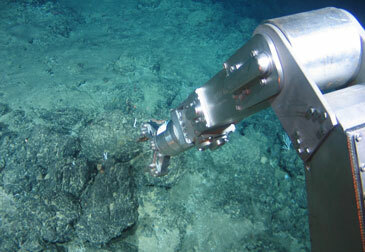 The mining of deep sea minerals is yet to commence in the Pacific region.